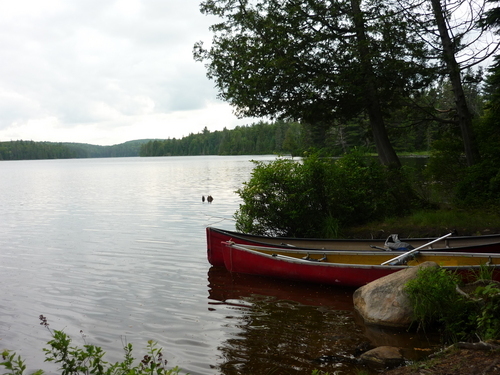 I went to Algonquin Park to camp for 3 days 2 nights. We went to the entrance by car. After that we went to the campsite by canoe.It was about 2 hours. There were just 2 holes called the washroom in the woods.There were no electricity and no water supply. Of course we couldn't take a shower. And the number of mosquitoes were terrible. I were always hearing mosquito's sound. 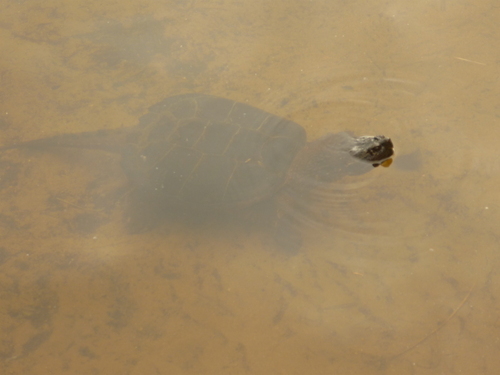 the turtle came to the bank. He liked sausages. We made sauna. We heated up stones and covered them with a tent. 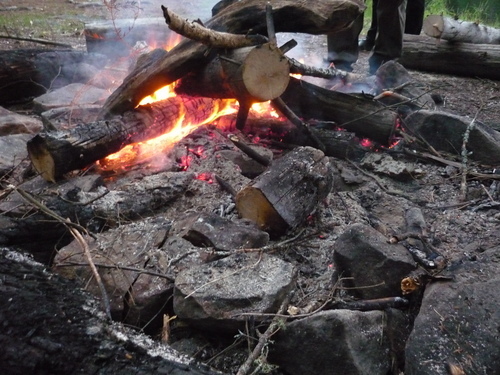 We entered in the tent, after that we poured water on the heated stones. And a lot of steam broke out. The sauna was completed. Algonquin park has a lot of wild animals. 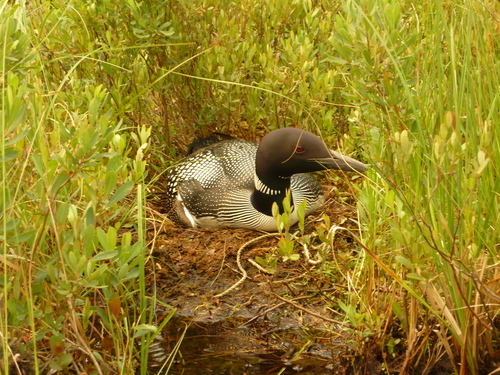 The picture is the bird called loon. She held her eggs. I wanted to see moose, but I could see them far from the canoe. They are member of camping. We are good friend each other.